Whenever you create something or put something together, you are engaging in the design process. This can be anything from making a sandwich to composing a letter. In almost every case where design is used, there are certain elements that form a basic composition and that lead you on the process. This helps to set some guidelines and help you avoid straying in all sorts of directions. Color theory is a complex study that focuses on how colors relate to one another. The color wheel shows us which colors compliment and contrast each other to deliver the biggest visual impact. Color theory is used in many things in our culture, from painting to hair coloring. Once you understand the concepts of color theory, you will know why some colors harmonize well together, and why others do not. 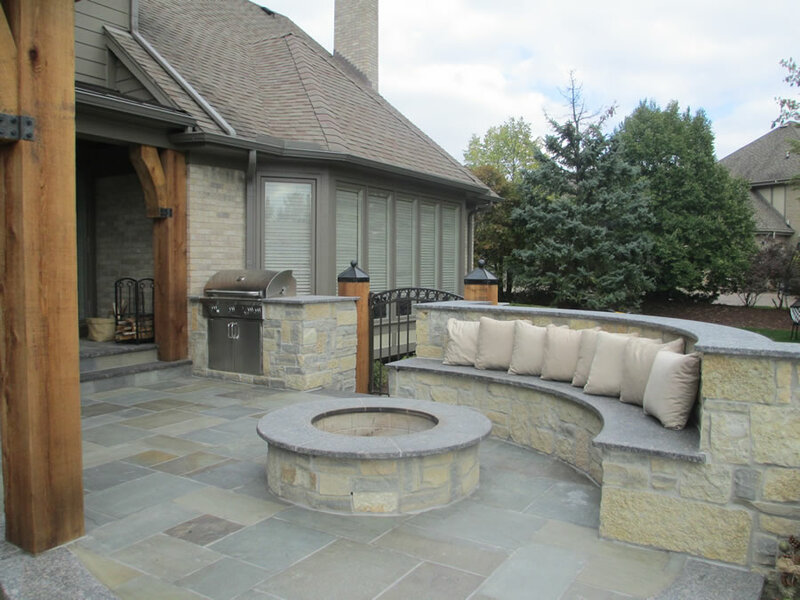 In landscape design, form refers to the shape of a plant. Upright, oval, columnar, spreading, broad, arching, and weeping are all examples of the terminology used to explain a plant’s form. Choosing plants of varied form boosts the visual interest of a space and helps to break up any otherwise monotonous areas. Just how color is used to make a space pop, so can form. Varying shapes and heights offers overall variation and prevents a bland garden from being created. Line refers to the fact that the viewer’s eye movement or flow can be controlled by the arrangement of plants and hardscape features. You can create a line of viewing by incorporating certain colors to catch the viewer’s eye and then lead it to where you want them to look. Eye movement is influenced by the way plant groupings fit or flow together, both horizontally and vertically. 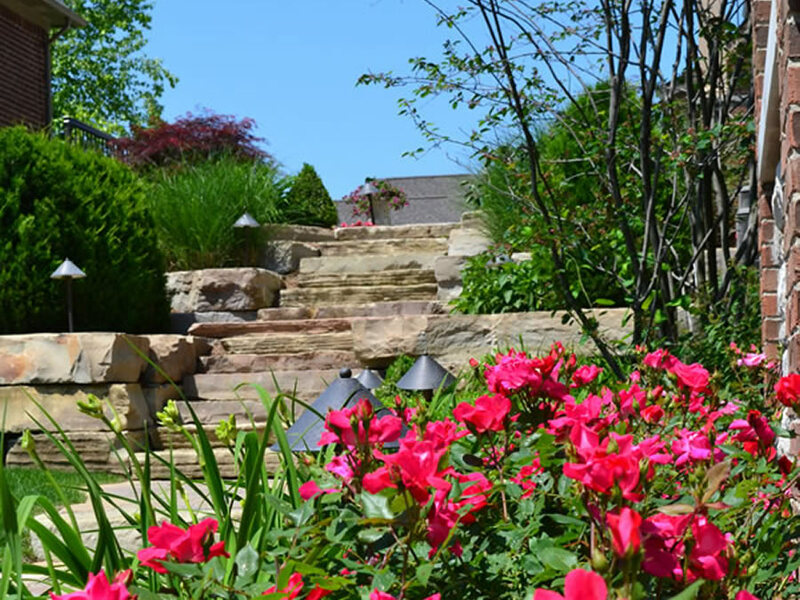 In landscaping terminology, scale simply refers to the size of one component relative to adjacent components. 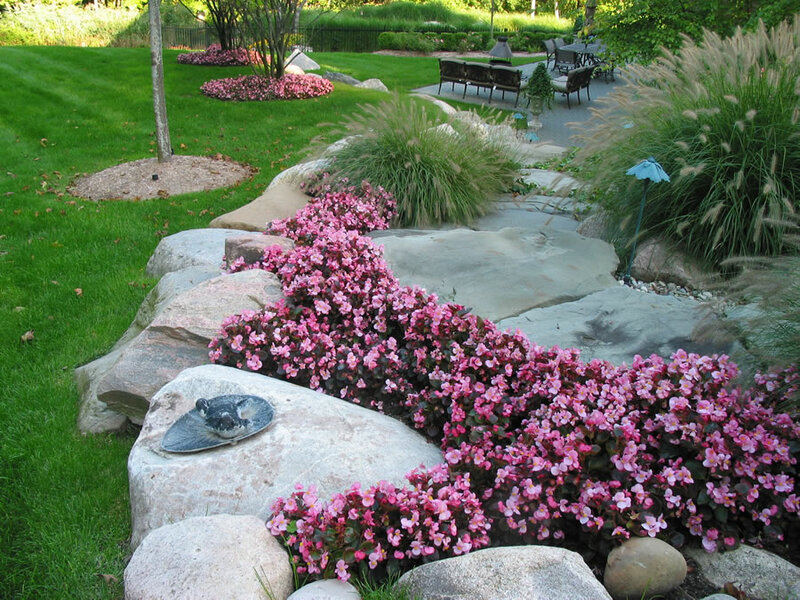 One example is placing a large plant with broad leaves next to or on top of a hardscape feature amongst small, low-growing flowers. The impact is great and it creates centerpieces throughout your landscaping. Plant texture is the perceived surface quality of a plant. For example, a specimen’s leaves or blooms can be perceived as being coarse, medium, or fine. Eye-catching designs are created when opposing plant textures are placed together. Creating a contrast with texture is a great way to add visual interest. 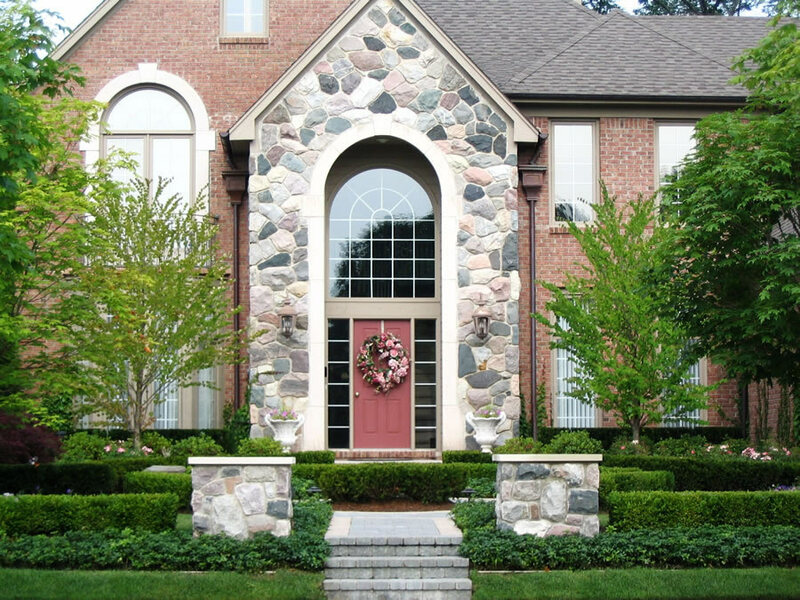 These five elements of design are used often in landscaping, from Buckingham Palace to the grocery store in your hometown. When you combine and utilize these principles, the result will be a visually stunning, interesting, and impactful landscape. 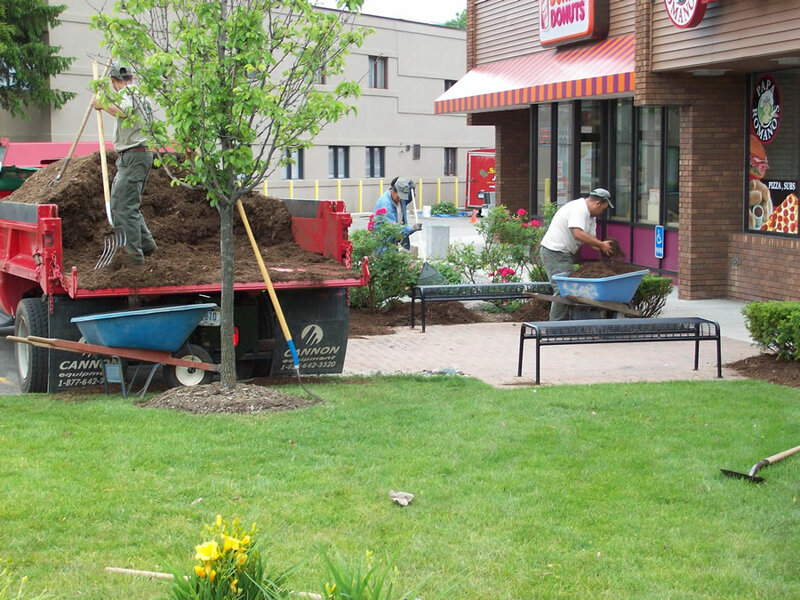 For advice on designing your landscaping and choosing the flowers and plants that would make the most impact, consult with Sinicori Landscaping. We can be reached at 248-651-5400. We look forward to hearing from you!